Roll Models 9 Gi is scheduled for March 30th. 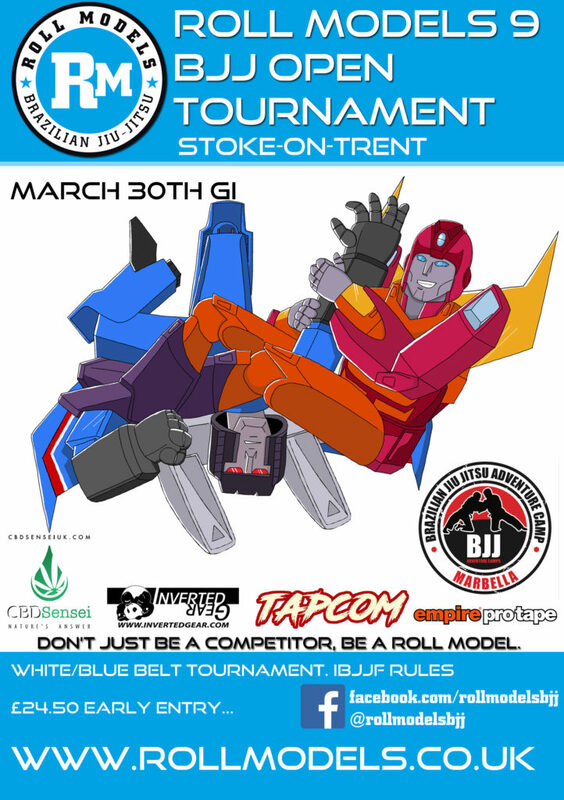 Our tournament will again be open to White and Blue belt competitors featuring a modified Ibjjf ruleset and Super fights at higher belts. Bronze medal matches, round robin in groups of 3, divisions of 2 are offered best of 3. No Judo black belts, high level wrestlers or pro mma athletes in White belt divisions. White Belts who are either Judo Black Belts, high level wrestlers or those with Pro MMA experience can compete at Blue Belt with their coaches permission (wearing a white belt). No refunds, free transfers are available to teammate or future event. Divisions subject to merging.